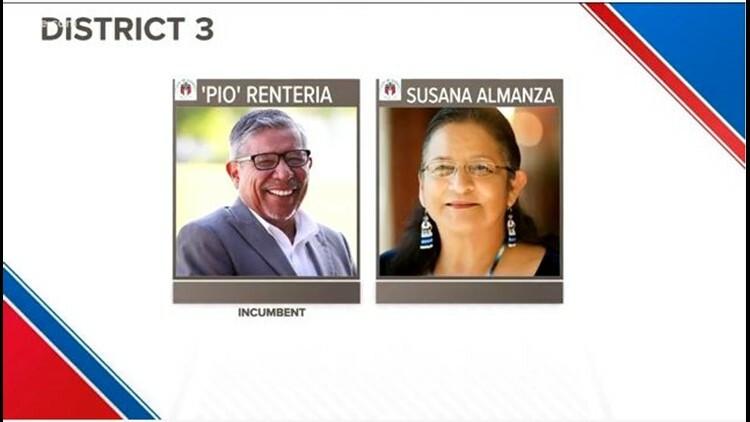 Council Member Sabino "Pio" Renteria is once again facing Susana Almanza in a runoff for the Austin City Council District 3 seat in a race that's the personification of sibling rivalry. AUSTIN — There's a faint sound that can be heard all over Austin's 3rd District -- the sound of construction. It's happening all around homes and businesses that have been in the city for decades. The cause and effect of development as well as the pros and cons can put even the closest friends at odds. Or in the case of District 3 -- siblings. People across Austin got to know Council Member Sabino "Pio" Renteria and his younger sister community activist Susana Almanza four years ago when the two found themselves in a runoff for the Austin City Council. Fast forward four years and the two are in the same position -- facing off in a runoff election to represent District 3. "What is that like for you on a personal level to be doing this again against your sister?" KVUE Political Reporter Ashley Goudeau asked Renteria. "It''s very difficult I have to admit that. Because, you know, I love my sister," he said. "It's kind of hard for me, especially this time around. I know it's going to get a lot dirtier and meaner." Almanza prefers people not look at their relation. "What people need to look at it is that I'm a political opponent," she said. "I'm not his little sister. I'm a political opponent. And I think if people can get passed that and look at it as a political opponent, then they would say okay, lets look at the issues." That brings us back to development because the most notable difference between the candidates is how they feel about development; particularly high density development. Renteria said he's trying to work with them to get as many affordable units as the city legally can. "We cannot be building single family housing. We need to look at more density, more apartments, you know, family apartments," said Renteria. "And that's what I've been working on." Almanza isn't exactly a fan of developers. "It's easier to say high density equals more affordable housing, but you have to ask for who," argues Almanza. "It's not for the people in District 3." Both want to use similar tools so the city can increase the amount of affordable housing. But which of them will have a seat at the dais is up to voters. KVUE News sent questionnaires to both candidates on the issues, click here to read their responses. KVUE also sat down with both Renteria and Almanza during Midday. You can watch both of those interviews below.